With cooler weather, rustic dishes based on meat and potatoes appeal more. A Franco-Flemish dish from the pictured volume, Sausages With Apples and Potatoes, is one of the simplest things you can make yet has great taste if your ingredients are good. The book, published in 1984, is part of a regional French culinary series from publisher Delta 2000 in Colmar. Some butter, potatoes, I suggest the floury type, apples of almost any kind, and sausages are the ingredients. Oh, and a glass of beer. That’s it. I suggest the meat be sourced from an artisan producer or even that you make the links yourself. They should be not too small but can be made from any kind of meat, a vegetarian type should work well too. Melt some butter in a casserole or pan of any kind you can put in the oven. Peel, core, and slice apples. Peel and slice potatoes. Lay the two pommes in pan. Place sausages over. Pour beer. Bake uncovered at medium heat for about 40-60 minutes. C’est tout. Add any seasonings liked, salt, pepper, herbs, etc. The recipe suggests sprinkling parsley on the dish before serving. I used a mix of Budweiser Prohibition and pumpkin ale for the beer, you can use almost any type of beer, or beer and stock, or indeed wine or cider, nay water. Variants of the recipe can be found all over northern Europe, from England through French and Belgian Flanders over to Germany. Beer gives it a Franco-Belgian stamp, but I’ve found similar dishes in the English country repertoire too. The authors include in the book a number of dishes based on beer. Whatever the true origins of a regional cuisine featuring dishes cooked with beer – as I wrote some time ago, there is reason to think “beer cuisine” is a relatively recent development – the results are succulent for the most part. The authors were teachers at the well-known professional training school, Michel-Servet in Lille. The recipes are straightforward, easy to follow, and were obviously tested many times before publishing. The evocative photos add charm too, sans doute. The beer dishes include baby vegetables stewed in ale, braise of rabbit, large crepes, and the unusual eggs poached in beer with aromatic vegetables. 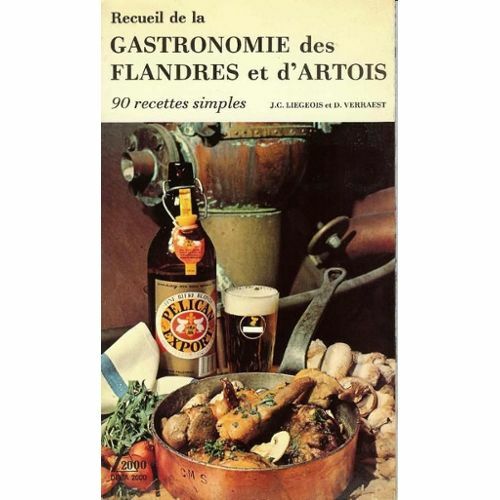 The object of the book is to present characteristic dishes of French Flanders (taking in Artois), thus many recipes eschew the malt and rely on wine, stock, or plain water as the liquid base for dishes requiring one. Some dishes use the local Dutch-style gin, or genièvre, as a flavouring agent. The book was written some 10 years before the Internet started to have an impact world-wide. It gives every appearance of presenting in integral form an intramural cuisine, one reliant for the most part on local products, especially in this case grains, fish, northern vegetables (eg. beets, cabbage, endive), butcher’s and hutched meat, sugar. Well-worth buying at the very small prices mentioned in the site below. Note re image: the image was sourced from a French site offering second-hand items, here. All trade marks and other intellectual property therein belong to their lawful owner or authorized users. Image believed available for educational and historical purposes. All feedback welcomed. 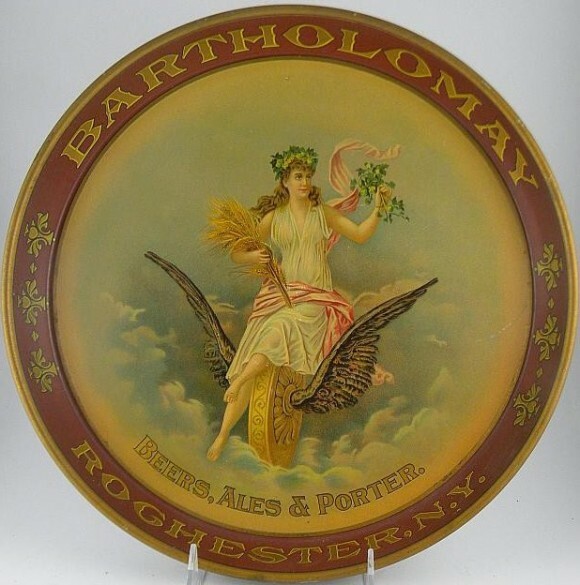 In the last week I discussed Bartholomay Brewing Co. of Rochester, NY in a couple of contexts. One was an 1884 “adulterants” brouhaha where the company led a robust industry response. The other was the company’s continued pre-eminence in 1907, a time when nine operating breweries were still left in the city but the looming spectre of national Prohibition lent a memorial note to area brewing. In fact, Bartholomay had amalgamated with Genesee Brewing and Rochester Brewing Company in 1889. The package was sold to British capitalists under a public offering. This was a period when some 80 American breweries were bought by British investors, hungry for rich profits in pre-income tax times. The takeover winnowed beer competition in the city despite that nine production units still existed in 1907. 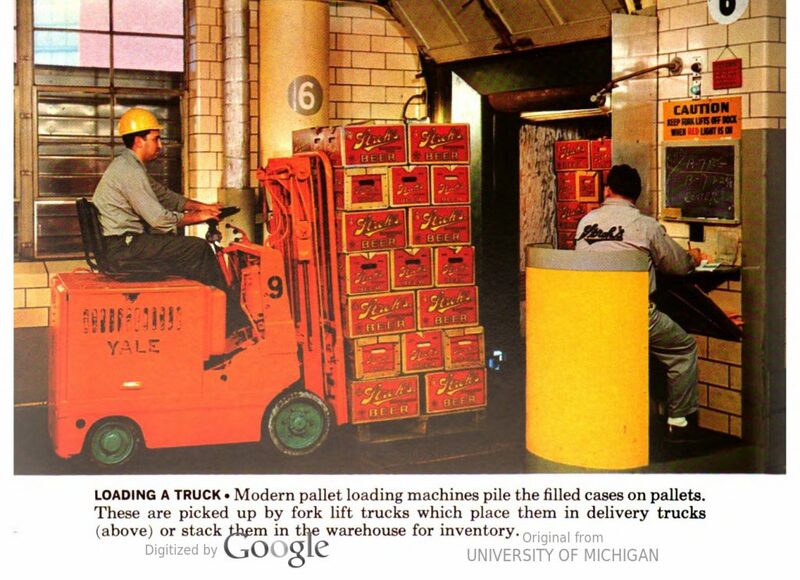 At some point, Rochester Brewing’s facility separated from the merged Bartholomay as Rochester Brewing was one of five breweries which opened independently in 1933 after Repeal. Louis Wehle, whose family had been brewers at Bartholomay, was a successful baker during Prohibition. He reinvested money from that business to buy the Genesee plant and part of nearby Bartholomay, and that became the post-Pro Genesee Brewery. It was family-owned for many decades. 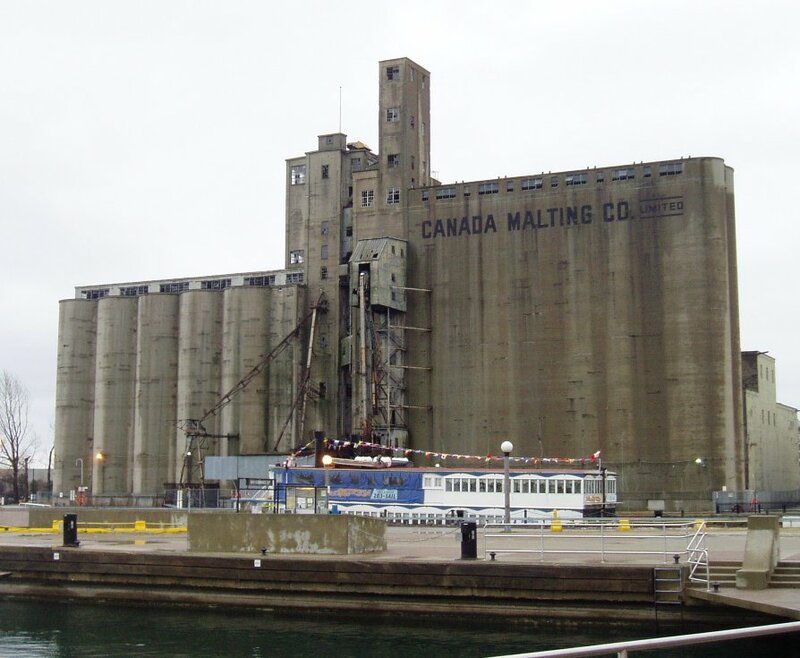 In the last generation it was sold to a management group and continued as High Falls Brewing, as many readers will recall. A few years ago, a Costa Rican brewing and refrigeration company bought High Falls via its North American Breweries, a holdco which owns various craft operations around the country including Magic Hat in Vermont and Pyramid/Portland Brewers in the northwest. 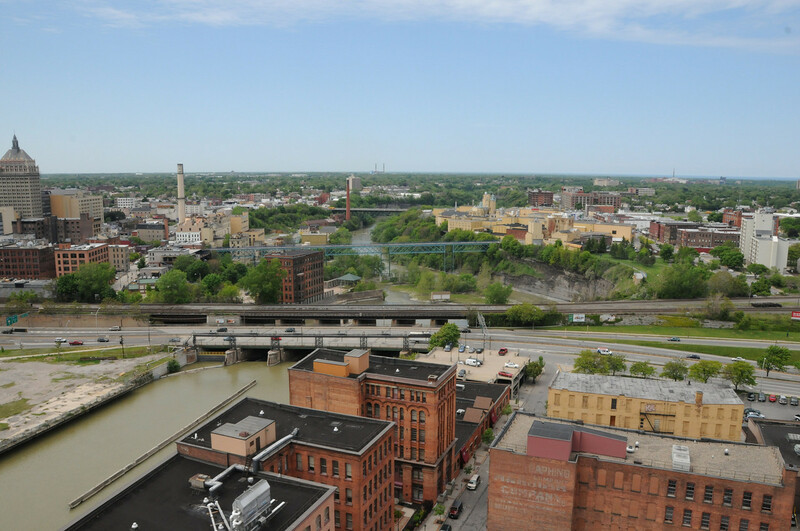 High Falls resumed its old name, Genesee Brewery, after the last purchase. Genesee still makes cream ale, a genre discussed earlier on these pages and a tangible connection to 19th century brewing in New York State albeit the formula is a modern one. It’s still a good drink, on the sharp side, famously creamy at least on draft. Somehow it suits the local foods and provides a good foil to the sweet local (non-vinifera) wines in the region. Genny also has an active craft line, continuing some of the High Falls innovations and introducing others. 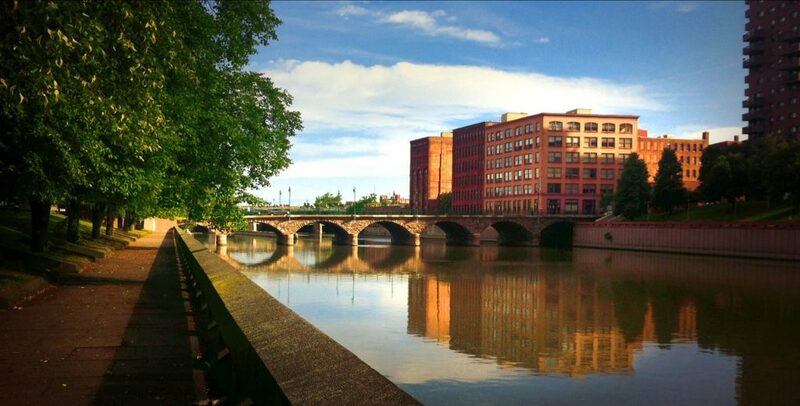 Its Genesee Brew House, a visitor centre and pilot brewery, is a noted attraction on the historic Genesee river and High Falls. Genny is the sole survivor of that group of five to start up again in ’33. Cataract Brewing closed in 1940, American Brewing in 1950, and a merged Standard Brewing and Rochester Brewing in 1970. Further details are available in this crisp report by Alan Morrell from the Democrat & Chronicle, itself a survivor of the 19th century (and one in whose columns played out part of the additives commotion of 1884). Today, there are many craft breweries and brewpubs in the region, indeed the state as a whole (almost 300). Brewing has revived to emulate if not exceed anything seen in the 19th century. An attractive feature is that old-established companies such as A-B in Baldwinsville (near Syracuse), Genesee in ROC, and F.X. Matt in Utica continue along with many more newbies. They are all in it together. 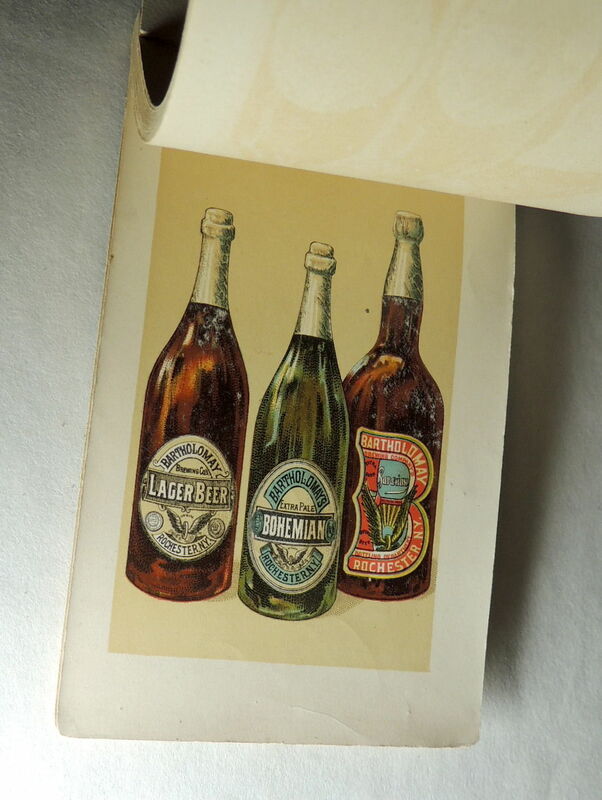 Note re images: the image of three bottles from Bartholomay Brewing Co. was sourced from this eBay listing, here. The second image was also sourced from an eBay listing, here. All trade marks and other intellectual property therein belong to their lawful owner or authorized users. The images are believed available for educational and historical purposes. All feedback welcomed. I bought the Budweiser Prohibition, a six pack of bottles, and a couple of tall cans of regular Bud. To me, the Prohibition is rather distant from Anne Pierce’s impressions of its 1920 counterpart I referred to the other day. She spoke of a high-extract beer, 1026 FG by my count, with a quality comparable to the regular beer which pre-WW I was likely 1015 FG (it was in 1884)*. She placed it in the top rank of the near beers newly on the market in 1920. The current one seems rather dry with a citric, almost lactic aftertaste – I am still not sure if perhaps it went off in the bottle as a number of taste reports refer to a sweet drink. We had a very hot summer in Toronto and if the packs were from the first deliveries last May or June, they may have suffered. They were kept room temperature where I bought them, too. There seemed a slight saline or “mineral” hit and I see that the label states 2% sodium, which seems a lot to me. I don’t off-hand see why this is included. I didn’t expect it to taste quite like regular beer but was put in mind of Will Rogers’ classic line: whoever dubbed near beer was a poor judge of distance. Now to regular Bud. It was, a) much better, and b) while the flavours were barely beyond recognition threshold, what there was was good and natural. It seemed better than some years ago when I recall a starchy dry aftertaste, sweeter and more beer-like. It won’t be a personal go-to but I can see why millions drink it who don’t want a stronger taste. I encourage A-B InBev to recreate the 1884 Budweiser as a special offering. I suspect it would be very well received by the craft world and would reinforce the existing franchise IMO. For that matter, if “Prohibition” is launched big time, I’d use the original (1920) recipe for that one too. With the advent of Prohibition, the surviving U.S. breweries turned to non-alcohol brews. Powerhouse Anheuser-Busch made at least two, one under the name Budweiser. The law permitted a maximum of .5 oz alcohol, a far cry from the 5% lager norm before the war. Still, Bud and many other brewers still in business dealt in the new article – better to keep some business than lose it all. Some breweries also made malt for baking industries, or soft drinks, ice cream, cheese – anything to survive. In 1920 in New York, a feature appeared in the New York Tribune rating the new N/A beers. It’s a surprisingly modern piece albeit 96 years old, with a few changes of style it would fit well as a feature today. Budweiser’s non-alcohol (N/A) brew and a few New York-area NAs were tested and tasted. A bottle of pre-Prohibition (genuine) beer was even included to ensure a full and fair assessment. The verdict was positive and upbeat. The new “brews” were good, and some very good and close to the real thing. Considerable information was given on how they were made. It was basically regular beer with the alcohol boiled off. Some brewers added back hops to freshen up the taste. Not a few added sugars of various kinds. The article was written by Anne Lewis Pierce. The prose is assured, snappy, informative. She makes a few jokes in the piece, like someone dispensing dry wit at the bar. She calls the real Budweiser “of sacred memory”. She says men were added to the panel so it would not be too “feminized”. (Perhaps an ironic twist there if you get the drift). Pierce was a practiced hand at beer types, clearly. Some people like dry light beer, she said, but others preferred a dark, sweet taste. One New York N/A reminded her of “strong porter”. One of the boys, almost. Unusual for the time. Who was Anne L. Pierce? She had had a long career working in Washington with the legendary Harvey Wiley, M.D. (1844-1930), a physician, chemist, and influential mandarin. After an academic career Wiley worked as chief chemist for the Department of Agriculture and pioneered food safety regulation. He basically wrote the Pure Food and Drugs Act which appeared just before WW I. After his government stint he headed up a lab run by Good Housekeeping magazine that tested foods and food equipment and advised on food safety. After she left government Pierce joined up with Wiley again to work for Good Housekeeping. Later, she wrote about food for readers of the Tribune in New York. She gave recipes, advice on diet and nutrition, and chronicled visits to food plants including the early, large-scale processor, Campbell’s Foods. She was no doubt an effective bureaucrat, one story described her as “staunch”. In line with the conventions of the day it was noted she was “brown-eyed” and with a good complexion. All Washington called her Anne … (that’s how it went then). You see her pictured with Wiley, here. I haven’t been able to determine her training, it was probably in chemistry or home economics. Certainly her writing shows sophistication about food and its technics. In the N/A article she reels off the final gravities like a pro. And so her government food background explains Pierce’s easy familiarity with beer types and beer lingo. She would have participated with Wiley in government hearings on proposed beer and whiskey standards. She probably helped write standards for the new and highly consequential pure food law. She sounds too as if she liked beer and one didn’t have to read between the lines to see she thought all-barley malt beer was best. She was past the point of any idea that corn and rice, commonly used in U.S. brewing then, were adulterants, but still the admiration for all-malt beer comes through, both in regard to N/A and real beer. You can read the full Tribune story, here. In a related feature recipes are given for “Dutch suppers”. 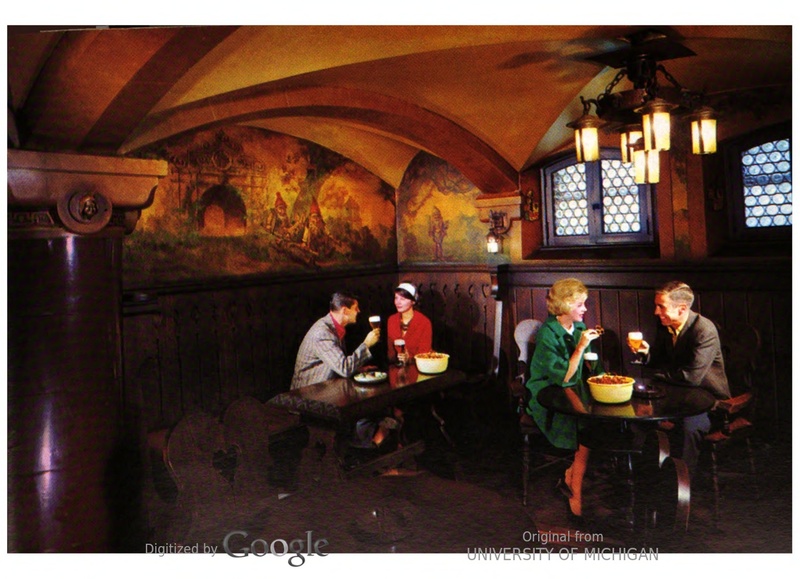 These paired different kinds of fast meals with the new beers, and showed that real beer was used before Prohibition to accompany these foods. Welsh rabbits, frankfurters or “hot dogs” (the quotes are hers), and liverwurst, were among them. I wonder where the term Dutch comes from, it was probably a corruption of Deutsch for German. There seems nothing specifically Dutch about the meals but Germanic, yes. And here too you see the early pairing of beer with food, i.e., as something formatted to recommend to homemakers. Pierce didn’t say so but once in consumer hands a lot of that N/A brew was “needled”, injected with a shot of alcohol to make it like real beer. 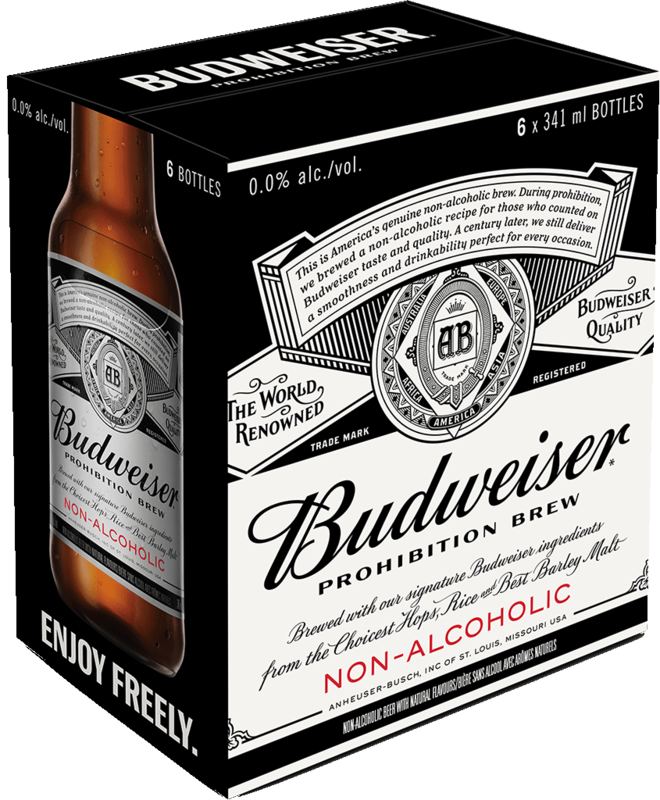 Bud’s 1920 ersatz brew is again available at least in Canada – it’s called Budweiser Prohibition. I’ve tried it and thought it was awful, frankly. I wonder if A-B InBev dusted off the 1920 recipe. 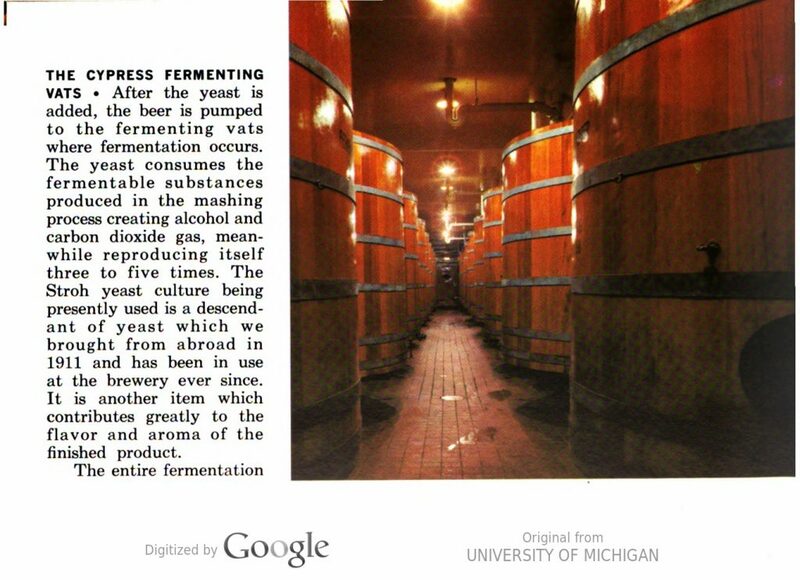 One thing that did change certainly is the new brew uses a vacuum process to remove the ethanol, vs. vaporizing it in 1920. But still, the two brews might be similar. Either way, there’s no substitute for the real thing, IMO. Pierce was bullish on the new N/As but I think an element of politics probably played into it. Note re image: the image above was obtained from liquormarts.ca, here. All trade marks and other intellectual property therein belong to their authorized owner or authorized users. Image believed available for educational or cultural purposes. All feedback welcomed. In 1907, the American beer business had about reached its pre-Prohibition zenith. By 1914, production would attain 66,000,000 bbl. Then the war came (initially in Europe) and finally measures to conserve grains and limit alcohol in beer. Married to ever-swelling Temperance militancy, this ended by strangling the industry. In October, 1919 a war measure included with the Volstead Act stopped all production even ahead of January, 1920, the anniversary of the 18th Amendment which was the formal start of National Prohibition. Of course, even by 1907 prohibition had been enacted on a state level in many sections of the country, a harbinger of what was to come. With cessation of liquor manufacturing, the allied trades would take the consequences too, the bottlers, bottle- and label-makers, equipment manufacturers, farmers and grain dealers who lost an important market, saloon operators, it all stopped. The huge and costly re-set affected tens of thousands of lives and livelihoods. Reading the Temperance literature of the day, one realizes the zeitgeist was complete – even the brewers had partly bought into their own demise by arguing for a revamped version of the saloon as I’ve discussed earlier. In this hopeful but ultimately bootless view, “pubs” would sell only beer and perhaps light wine. The mahogany bar would be banished with its attendant hard liquor and cocktails, to be replaced by seated facilities which replicated Europe’s practiced old hand at good living. (That idealized view of alcohol in Europe was never true or completely so, I’ll return to this later). In that year, 1907, a Rochester, NY publisher issued a paean to Rochester’s brewing heritage. It was something almost defiant in the larger picture, and one senses it was a beau geste, a last sally before the apprehended end to a liquored America which came all too true in just 12 years. With the writing on the wall, the industry was going to leave a memorial of itself. The wine, beer and liquor interests of Rochester are by no means small. A history of this business, with a detailed account of the remarkable development and growth of the production and sale of a commodity for which the demand is ever increasing, is something which has long been lacking. It is the aim of this book to supply that lack. Of the men who have watched and cared for the industry the general public and those who should be interested in the development of Rochester’s industries has been kept in ignorance. Only through hearsay does the average man know of those who have settled in this city and built up large businesses which form an important factor in the growth of the city. The lives of these men, their ambitions and plans, and the success which has attended their efforts, are here outlined, and something is told of the means which have been employed by them to bring about a successful culmination of their work …. Herein will be found descriptions of the methods of brewing, taking the materials in their raw form and tracing them to the time they reach the consumer. The latter’s interests are well looked after by the makers of liquors in Rochester, as is testified to by the methods in vogue at local breweries. Descriptions of the local plants, which give employment to thousands of men, and of the modern ways of conducting such large industries, have received particular attention. By the aid of chemistry and bacteriology the manufacture of beer has been reduced to a science, involving a high degree of technical skill. Every possible precaution is taken to preserve the cleanliness of the product. An outline of these methods will be found. Starting in a modest way when Rochester was a mere village, the brewing industry grew with the city until a few years ago, when a sudden impetus was given the business, which has since increased by leaps and bounds, until now it ranks as one of the most important in the city. This growth has continued in spite of adverse legislation, which has been enacted in spite of the protests of the interests involved. Just what has been done in the interest of the manufacturers of and dealers in liquors and wines is outlined here. Every important line of business now has its representatives who look after adverse legislation, and promote favorable acts. Even the farmers have their “lobby” at Albany. The brewers have been lax in this regard, and especially in local affairs the men affected have paid too little attention to affairs whiah affect them vitally. It would seem from a review of the legislation enacted during the last quarter of a century as though the liquor business is a standing target for state legislators. License fees have steadily advanced and onerous restrictions urged. Many industries would have gone down under such onslaught, but the men whose money is invested in the brewery and liquor business have in their make up a determination to succeed —an admirable asset that has enabled them to overcome or remove every obstacle. The volume was expensively designed and produced. Many months ago, I referred to a similar, lush “corporate” book produced after WW I by the merged Canadian beer business in Quebec. It must have been the style of the day in the business world, and other examples linger into the 1950s, modernized with day-glo photography. The prose was smooth and the focus was historical, technical, and foremost biographical. The history of the industry was traced from 1819 when ale was first made in the city, through the period when schenk beer, or winter lager, became popular, and finally to the time lager proper, or aged summer beer, took the major part of production. Close emphasis is given the people and families who founded and continued the main concerns. 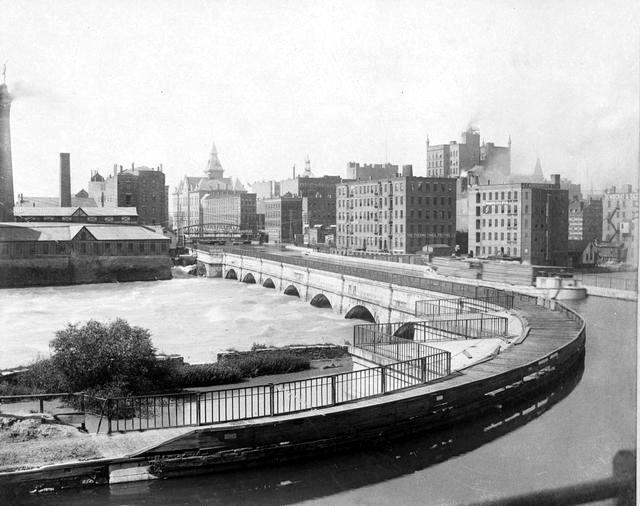 By 1907, nine breweries were left in Rochester via a process of consolidation and closure. Genesee Brewing, a small player in 1880 which had grown impressively, was one of the nine. Others were Standard Brewing, and the venerable Bartholomay Brewing, defender of the industry in ’84 when scurrilous accusations had been made of use of adulterants. The head shots of probably 100 figures of the industry, yes in Rochester alone, are included. The large number is accounted for by the fact many were from the retail and wholesaling part of the business. Their details were carefully noted and a preponderance seemed of German background. There are numerous nuggets in the piece, for example, the schenk was described as partaking of both ale and lager in nature. It was also said to be dark, bitter, and “heavy”, I think heavy meant here in body, not alcohol. By stating schenk was neither fish nor fowl, I think the author meant it used a bottom yeast but wasn’t aged. Ale of course can be aged, but especially in a frontier city, the first producers wouldn’t have done that, it would have been sold fairly new and still hazy; ditto schenk. (Think any cloudy, darkish lager you get today from a craft brewer). The account credits the Anglo-Saxon-sounding Bartholomay* with introducing lager proper in the 1850s. The description of the contemporary brewing process in the book suggests lager was still aged for three or four months then. Insight was given on the ale market in that the typical customer of Standard Brewing would order an “ale” and be quite happy to receive India Pale Ale, present use ale, or stock ale from Standard, whatever the retailer carried at the time. These types of beer can be quite different (even from the same brewery), but ale devotees didn’t distinguish further than to order a Standard Ale. In one sense, this approaches how some people view the craft market today. Many craft producers rely on their name to sell the beer, not a particular type or brand which can change monthly anyway. The more you read about business and markets in the old days, the more you realize that most things don’t change. The book is a curio to its time, its era, both in general and specifically as applies to beer. (A couple of ads reference Rochester’s distillers but hard liquor wasn’t addressed in the narrative, no doubt a defensive measure intended to appease Temperance advocates but probably little appreciated in those quarters. A short essay dealt with a winemaker, but in general wine was left out of the book too). No, the anti-drink crowd were in no mood to accept concessions from brewers. As one Temperance tract put it, if beer was the safe and reasonable beverage advocated by the newly-reformed brewers, why had whiskey taken root and flourished side-by-side? It likened brewers to a man-eating shark approaching a floundering seaman while singing Rescue The Sailor. Anti-drink agitation ranged from the lurid to highly sophisticated legislative and political manoeuvring. Certainly the lobbies of our day have nothing on the old-time firebrands. I’ll borrow by analogy something Elizabeth David wrote about Alexis Soyer, the great French chef who helped introduce fine culinary methods in England in the 1800s but also campaigned for better public food and to help the poor. She wrote, his skills at arranging public fund-raising events made Bob Geldof look like the village vicar. That’s how I look at the anti-liquor lobbies of pre-Prohibition vs. our various social lobbies today. Of course the difference was, Sir Bob and his predecessor Alexis Soyer did work of undisputed value and advanced social justice. The same cannot quite be said for the Temperance campaigners. Their heart was in the right place too, yes, but they didn’t appreciate the bigger picture and considerable travail resulted from their efforts including the evils of organized crime and the loss of the liquor revenue. *In fact, founder Henry Bartholomay was German-born (Frankfurt), see here. In Rochester, NY in 1880 there were about 20 breweries. Of these, three or four had the lion’s share of production. Frederick Salem ranked them in his brewing history of the same year, here. The top-ranker, Bartholomay Brewing, was established in 1874. It sold about 150,000 bbl per year by 1884. Its next two competitors were Rochester Brewing Company and still-very much-with us, Genessee Brewing. See some sales data here for that year. In 1884 or possibly in late ’83, the industry was shaken. A correspondent, I believe a Jacob Spahn, wrote to the Democract & Chronicle suggesting local beer was impure and quassia and other additives were sometimes used instead of hops. The allegation of impurity was a mantra of 19th century brewing, echoing parallel controversies for bread, milk, water, and other products. It was an early exhibition of consumerism. New York had seen an earlier bout of this, in Albany in the 1830s. There, it lead to hearings and a lawsuit which the brewers lost although the inquiry suggested for the most part beer was made from malt and hops. The Chemistry Department was housed in Lattimore Hall from 1930-1972, named after Samuel A. Lattimore, Chair of the Department of Chemistry from 1867-1908. Lattimore was known as a chemist of exceptional ability, an excellent teacher with a charming personality and also known for his broad range of cultural interests as well as his strong influence upon the community life of Rochester. He was a charter member of the American Chemical Society. Bartholomay advertised his work to assure the public its beer was pure. In some ads, Bartholomay’s assay appeared alone. In others, it was bracketed with analyses from three other breweries, Rochester Brewing Company, Genesee Brewing, and the old-established but small player, J.G. Baetzel. The table above is from such an ad which appeared in the Geneva Daily Gazette on May 23, 1884, see here. Each brewer probably contributed proportionately to the ad cost, but most of the ads were for Bartholomay alone. They appeared from May through September in north country newspapers. Bartholomay had a particular reputation for its lagers. It made different ones including a stock lager, Bavarian, and Bohemian. I’d guess the one in the news ad was the stock given its 6.7% abv (the figures in the ads are all expressed to be by weight). That is unusually high, even for long-stored beer; I return to this below. Genesee had introduced a lager in 1878 – it’s still sold, I saw it the other day at LCBO. Its beer was 5.3%. Same as Budweiser in the same year. The Genny had the same FG as Bud too, 1015, a fairly rich taste. After all, no one would call Sam Adams of craft fame dry and it is 1012. Still, given the Genesee was probably 1/3rd grain adjunct, its taste may have approached that of (all-malt) Sam Adams. Bartholomay’s beer, with a similar FG to Sam Adams, was all-malt but higher alcohol, so probably “bigger” than Sam Adams. Rochester Brewing’s beer, at 5.3% and 1011 FG, might approach Sam Adams most closely and was possibly drier if it used adjunct. These three beers together with the very sweet Baetzel show there was a range of tastes in this market then, one the craft world today would recognize. But those beers were certainly different from today’s mass market norm. Modern Budweiser, the non-light, is said to be 1008, for example. The BJCP’s style references give 1004-1010 as the range for mass market lager. Now think about it. Why would the no. 1 brewer in Rochester in the 1880s make an all-malt lager at 6.7% abv but with relatively low FG of 1011? I think it’s because of Rochester’s ale tradition, one common to the north country until the end of the 1800s, indeed it continues to this day albeit in altered form. Ales were always stronger than lager then. It was a point of difference used by lager brewers feeling the hot breath of Temperance campaigners, especially in the midwest and New York City. (There was a certain commercial dissimulation there if not self-delusion which reached its peak in the 1911 Second International Brewers Congress as I discussed earlier). The prestigious ales of the later 1800s were India, pale, and amber beers, all relatively dry. Bartholomay’s lager seemed attuned to all this, 100% malt as Americans and Canadians maintained for ale for a long time, and not as sweet as much lager then. History matters, taste matters. Bartholomay was responsive to its market, with evident success. The Baetzel beer, probably a brown Munich, was IMO too sweet for the market at a daunting 1022 FG. Nor can it be said Lattimore used an atypical sample: Baetzel’s ads in the period stressed consistency. Anyway the company would have ensured an amended ad if its numbers were not typical. Bartholomay’s beer is with us still in the form of Maibock, the strong blond lager of Germany and the craft world. 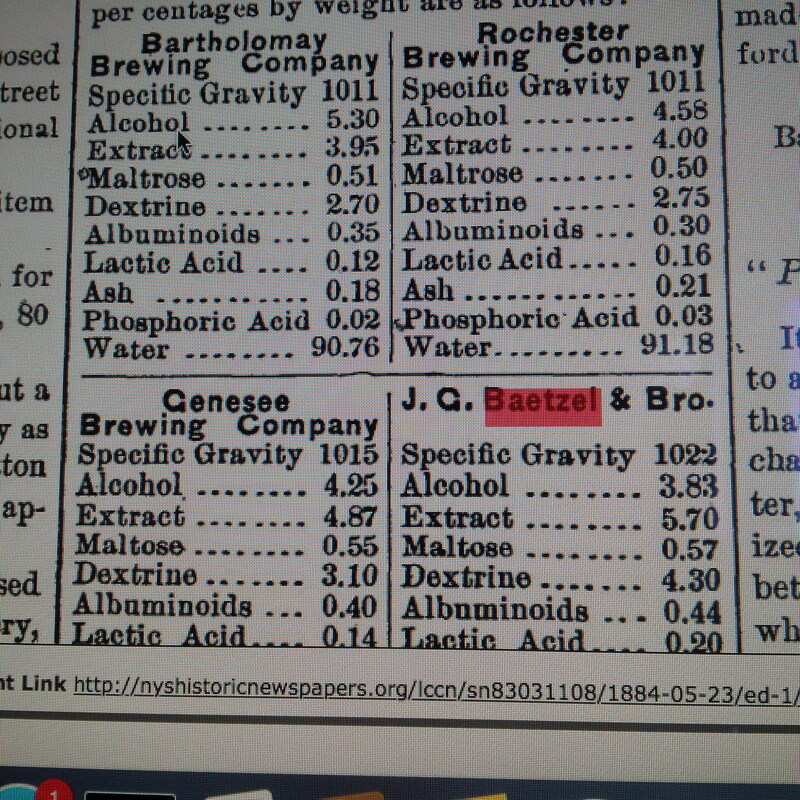 We should note the high maltose content in each beer. Presumably “maltose” here includes other fermentable saccharides now separately classified to include say maltotriose and fructose. Still, the percentages are high vs. our mass market norm, see this discussion on typical current sugar levels in finished beer. Even if you total all the saccharides in the table in the link, the maltose levels of the 1884 are much higher. I don’t know whether the sweetness impact is linear but net net, the old beers had to be much sweeter. In that period, technical writers made much of the nutritious and sustaining qualities of lager, that it was a food, etc. One can see why even allowing for a certain folklore in this view. But public taste was changing. The onset of the Bohemian style showed that, think Pilsner Urquell or Budweiser Budvar, although few would consider them dry today. This type probably had an impact on the final gravities of the beers in the ad except for Baetzel’s. In a nutshell, the relatively low FGs of three of the four lagers Professor Lattimore analyzed can (IMO) be explained by both changing tastes and the region’s top-fermentation history. Note re images: The second image was sourced from the site Antique Beer Trays, here. The third and fourth were sourced from the City of Rochester’s site, here, and appear courtesy its Communications Bureau. 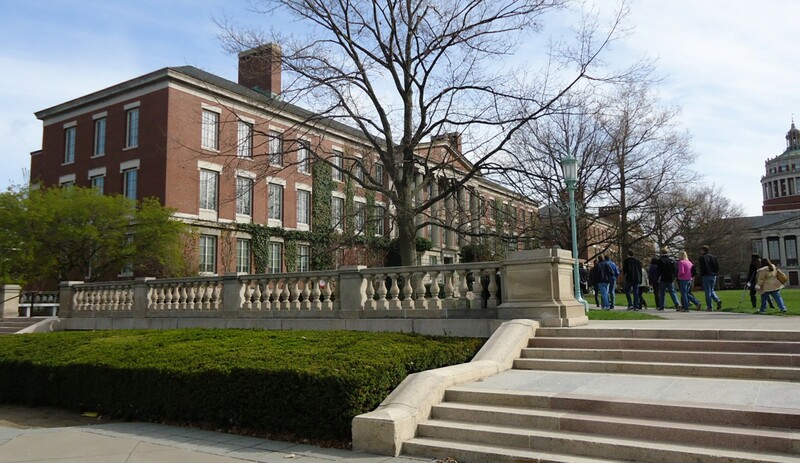 The last image is Lattimore Hall, of the University of Rochester, NY, sourced here. All trade marks or other intellectual property therein are property of their lawful owners or authorized licensees. Said images are believed available for educational and historical purposes. All feedback welcomed. This is a further follow-up regarding pre-Prohibition, Anheuser-Busch gravities for Budweiser (I just found it), see p 57, in 1884: 1015. The abv was a touch over 5%, essentially the same as in the news ad I linked about 20 years later. I estimated 1016 for Bud in my previous post, pretty close. In this online discussion, homebrewers making a Bud clone estimate 1008 FG and I’ve seen some go lower. Even assuming Budweiser was 20% rice by 1884, that is a 7 point spread. Of course, 1884 Bud would have been much hoppier, but still. Given too the hops before WW I were advertised as the Czech Saaz – presumably AB used 100% Saaz at least for aroma – it must have been quite a different beer then. This is a follow-up to my post earlier today, I was querying if data might exist to show final gravity and other characteristics of Anheuser-Busch beers before WW I. There may be various sources of information in old published analyses, and certainly the following came up without too much trouble. 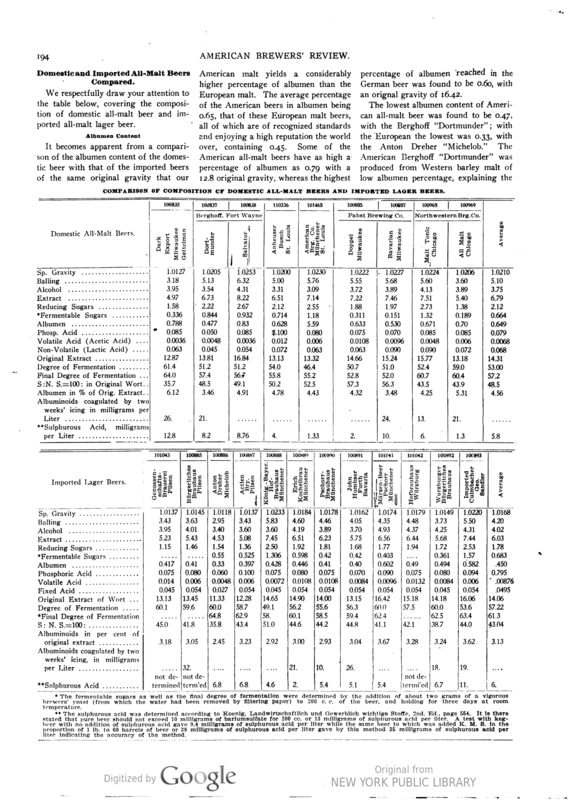 Consider the table below from a 1908 American Brewers Review (Jan-June, Vol. 22), the technical journal edited by Robert Wahl & Max Henius, names now familiar to us. Look at the column for Anheuser-Busch of St. Louis. They don’t state the brand unfortunately. 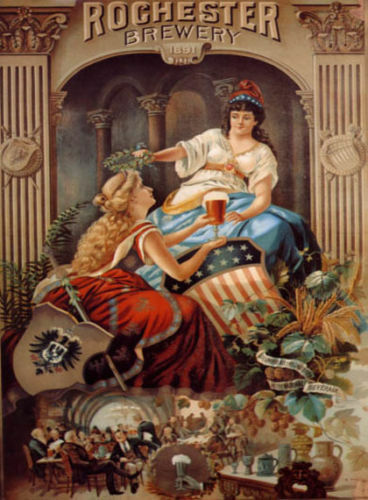 It had to be IMO either Michelob, introduced 1896 as a draft-only beer, or the Muenchener (dark) introduced for the 1893 World Columbian Exposition. The other domestic all-malts – good to know they existed in the adjunct brewing era – mostly seem Munich-style dunkels or similar. There is a Dortmund beer that may be blondish, but even that is not certain. Another export type, from Berghoff in Indiana – beer of that name still exists but not the brewery – is expressly said to be “dark”. The AB all-malt beer had an original gravity of 1050.2 and a final gravity of 1020. Apparent attenuation only 54%. At a stated 3.31 abv, that is about 4% abv. That is a very malty beer even with the comparatively high hopping then. I’d guess it is the Muenchener. If you look at the second table, where European imports are compared and including numerous (blonde) pilseners in this case, the average FG is rather lower: the pils beers as expected were not as sweet as the dark beers. Wahl & Henius were looking at albumen (protein) content, so a different point than I am concerned with, but the tables are very helpful for other purposes. The Mich might have been the same or maybe a bit lower. One must remember that Wahl & Henius’s average 1016 FG lager was one-third adjunct, so the fact that the average FGs of the blonde imports in the table below are lower may not matter much as their relative mouth-fullness may have been the same, to compensate that is for all-malt. This is why Michelob was unlikely to be higher than 1016 and possibly was lower. 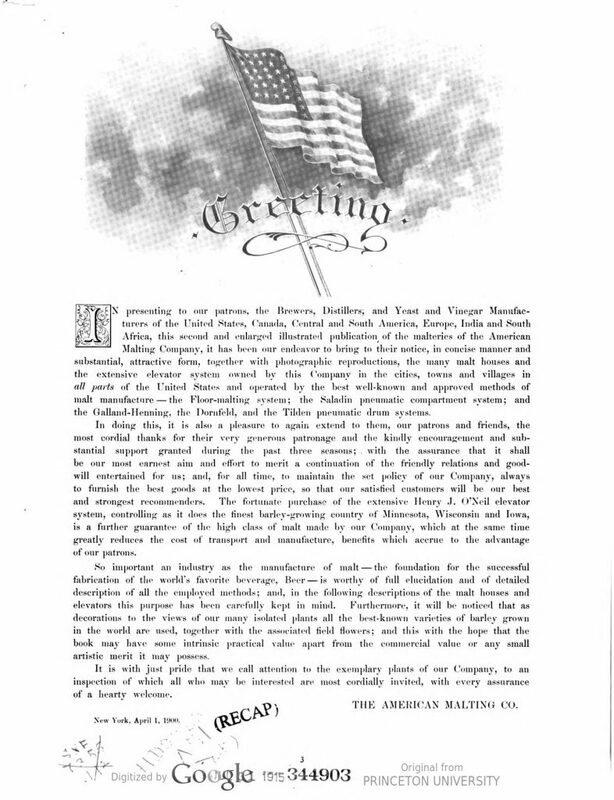 *See my next post where the abv and FG of Budweiser in 1884 has now been documented. It is 5.3% and 1015, respectively.